Due to unforeseen circumstances, David Conover’s presentation on the “The State of UO Research: Celebrating Achievement and Prospects for the Future,” scheduled for Tuesday, Oct. 31 at 3 p.m., has been postponed. This event will be rescheduled. We apologize for any inconvenience. The state of research at the UO will be the topic of a presentation by David Conover, vice president for research and innovation, on Tuesday, Oct. 31. Conover will provide an overview of research accomplishments at the university, celebrate the successes achieved during the 2017 fiscal year and anticipate future growth. All members of the university community and the public are invited to attend. The talk, “The State of UO Research: Celebrating Achievement and Prospects for the Future,” is scheduled for 3 p.m. in the Crater Lake South Room in the Erb Memorial Union. UO President Michael S. Schill and Provost Jayanth Banavar will give opening and closing remarks. Conover will provide a detailed analysis of the research numbers from the 2017 fiscal year, which ended June 30. UO researchers brought in $114.9 million in grants, contracts and other competitive awards in 2016–17. Conover will recognize faculty who received major awards in the sciences as well as the arts, humanities, social sciences and professional schools. Conover will also offer an overview of innovation efforts. UO innovators contributed $8.8 million in licensing revenue during the 2017 fiscal year, and four new startup companies grew out of UO research innovations. The current federal funding climate will be a prime area of focus for Conover, who will offer a look at the current status of federal funding and the outlook for the 2018 fiscal year. He will provide details on the UO’s research numbers for the first quarter of 2018 and benchmark the UO’s progress alongside some of its peer institutions. The overall outlook for research at the UO is one of continued growth, Conover said, pointing to the Phil and Penny Knight Campus for Accelerating Scientific Impact and UO programs designed to attract more research-active, tenure-track faculty members. 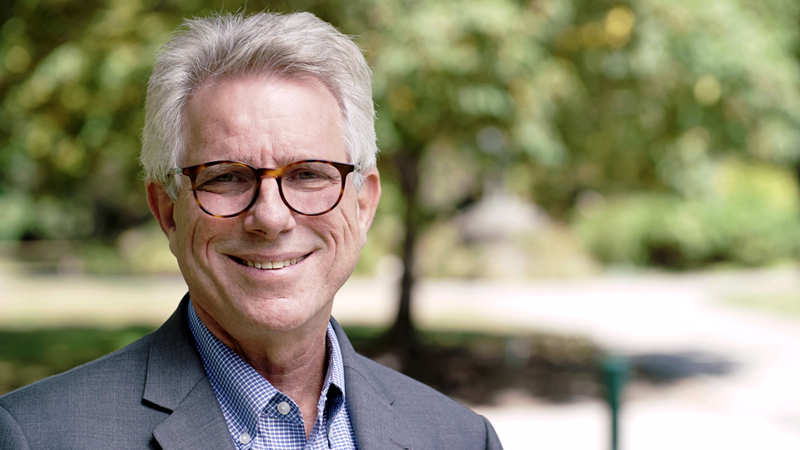 Schill has set a goal to hire many more research faculty and retain existing faculty to boost the university’s research activity and invest in the institution’s academic enterprise.